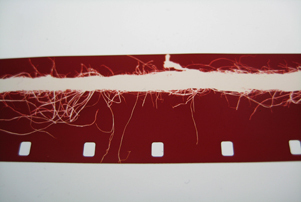 One of the key concerns of experimental film, in the tradition of all modern art, is the stuff of film itself: how it is made, what is it made of, what are the basic elements of the camera, the celluloid, and the projector. 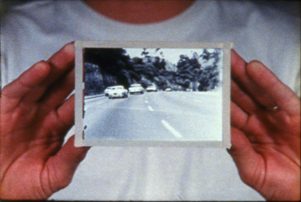 In experimental film, focusing on the materials and procures of film-making has come to be known as structuralist film-making, with a hey-day from the late 1960s through the mid-1970s, but continuing in much work today. 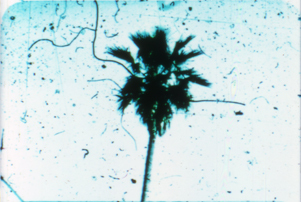 These are several classic examples made in Los Angeles, with precise control over the instruments of filmmaking, the depth of good art, and (more often than not) a fair dose of wit. 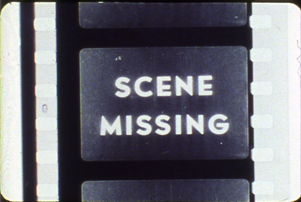 Restored print from the Academy Film Archive. 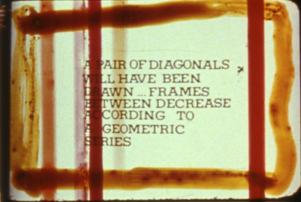 A camera follows a map through a defined space, while markings representing the camera’s movements appear on the film strip itself with increasing frequency. The original camera footage for Stasis is an 8-minute, 8:1 camera zoom. 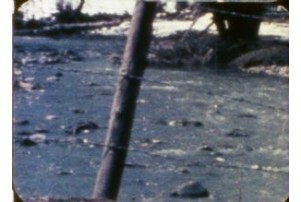 That footage was then printed with an equal but complimentary optical zoom resulting in an image of apparent stillness. 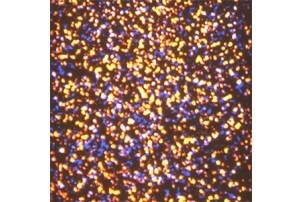 Stasis is the image of the stillness in motion. Stasis counterpoints the movements of running water in a stream within a still-camera shot, with a steady zoom from without the filmed image (including subtle sprocket holes and frame lines) to a close-up within the image.